Very often in life, whether as an adult or a child, I believe it is a human connection with someone which leads to a deeper understanding in a particular area or world view. Something which can limit this of course is that we often spend the majority of our lives surrounded by people very similar to ourselves – usually people living in our immediate vicinity – often sharing the same native language, similar way of life, and so on. I’m sure you’re familiar with this concept. An example of this is a child growing up in an affluent suburb in an English speaking first-world country, who has many opportunities in education and lifestyle, but might not have any direct connection with children in a very different location and circumstance. The good news is that using free technology it is now more possible than ever before to put your students in direct contact with a class of students in a far away country, and watch their understanding and curiosity about the wider world grow in leaps and bounds! I’ve had direct experience of this, and it is wonderful to see the engagement and enthusiasm from the kids, who just can’t wait to speak with their new found friends in another country – exclaiming as they learn about the wild animals that live nearby, and the everyday things which seem so very foreign and interesting. Today I interview Christina from Empatico about who they are, and what makes them tick! For our community of teachers – what is Empatico and why should they care? A new initiative of The KIND Foundation, Empatico aims to provide students with the opportunity to connect with others around the world and walk away with a greater understanding of each other. 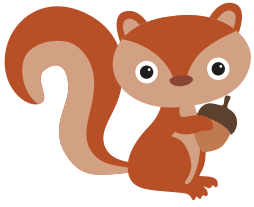 It is a free, online learning tool that allows teachers to match with another classroom, collaborate on standards-based activities, and connect via seamless video conferencing technology – all in one platform. We know many educators in this country and around the world already care about providing opportunities for their students to meaningfully interact with one another, expand their horizons, and foster a lifetime of curiosity, kindness, and empathy – and Empatico provides an easy, free way to do this. For a teacher who already feels too busy in their workday, how can they incorporate an additional service like Empatico? Think of Empatico as a one-stop shop for meaningful connections between classrooms that they can plug into their existing curriculum (e.g. bring in real global connections to a socials studies lesson, integrate SEL into a typical day). Teachers will save time as they no longer have to toggle between applications to find other interested teachers, schedule a connection, and find high quality activities that are researched-based and designed specifically for their students. Best of all, Empatico is (and always will be) completely free to use. What do you see as the strongest benefit of your service to a classroom of 8 year olds? Is this the same in America as it would be in New Zealand, or France, or Malawi? Neuroscience suggests that changing the adult mind is an uphill battle because so much of our brain has already been wired, and we have developed default assumptions about those who are different. In 8-10-year-olds, however, biases have yet to become deeply rooted. Around this time, kids are asking questions about their place in the world. Giving them an opportunity to develop this curiosity and have positive experiences with diverse people can strongly influence how they perceive others in the future. Because the benefit of Empatico is expanding student worldview and scope of empathy, the benefit is the same for students everywhere, but perhaps more meaningful in communities in which students have few opportunities to connect with peers from other places or interact with others who are different than them. What lasting benefits does Empatico provide to a student? Empatico’s activities incorporate insights from child development and education research to create meaningful experiences that support positive perceptions of others. It is a great opportunity for students to experience another culture and see just how large our world is and how easy it is to communicate with others. Having early positive experiences with diverse types of people can strongly influence how children develop perceptions of others and themselves, and how they navigate their classrooms, communities, and world. These benefits can last a lifetime. What can a teacher gain from your service? Empatico is as much for teachers as it is for students. It provides a global community for teachers to tap into to connect, share ideas, and build their learning network. It’s an easy way for teachers to make learning come alive beyond the the four walls of their classroom. We hope Empatico will also help teachers expand their own worldview and ideas for how they engage students in their classrooms. Take us through a high level journey from initial concept to first launch of Empatico. In a nutshell, KIND’s CEO & Founder, Daniel Lubetzky, has always been passionate about building bridges and became interested in building Empatico more than a decade ago (we have the 4am emails he sent to himself to prove it!). He was finally compelled to put the idea into action amidst rising levels of division both domestically and internationally. As the son of a Holocaust survivor and a Mexican immigrant to the U.S., Daniel grew up learning about the importance of appreciating difference and recognizing our shared humanity. Empatico is his latest effort and biggest investment to-date to foster connection and understanding between people. A little more than a year ago we put a team together to build the product. We’ve been building and refining the technology, methodology, and content over that time and testing with teachers. We just released the beta version of Empatico in November 2017, and the initial response has been positive. Empatico team witnessing the first connection between classrooms using their service! To date, nearly 300 classrooms in 30 countries and 40 U.S. states have signed up. We expect these numbers to grow, and have an ultimate goal of reaching one million students by 2020. There seems to be a strong theme of positive global and social endeavours in the background of your organisation. How does this impact the company, and the service? If you’re referring to the background of individual employees of Empatico, this is certainly true. All of us are working on this initiative because we believe deeply in the mission of supporting meaningful connections that help us explore our shared humanity. We each have our own story of learning this at some point – whether through education, travel, immigration, or professional careers. We believe deeply that when humans know each other, we can together solve our world’s biggest problems. I love the combination of very clean modern functional tech, with a positive mission. How does the company see this? This is definitely the approach we have taken, and we are quite fortunate to have the financial backing of The KIND Foundation so we are able to offer a high quality tool for teachers that will always be free to use. KIND was founded as a not-only-for-profit company and has always tried to balance profit with purpose. Its social mission, which centers around inspiring kindness, has been a core part of the company’s DNA since day one. In 2016, The KIND Foundation was created to scale this mission. 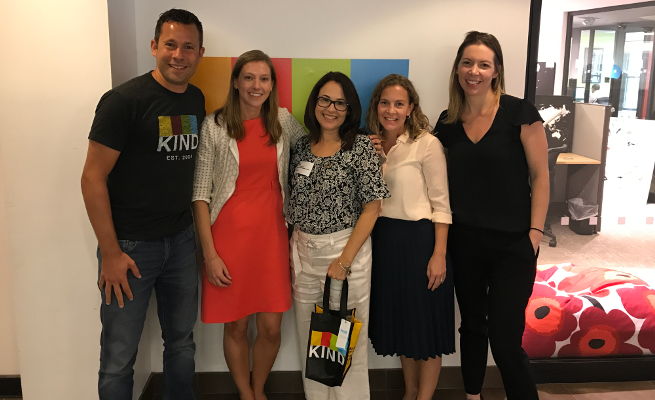 Empatico is consistent with KIND’s previous philanthropic endeavors, which have focused on developing kinder and more empathetic communities. Empatico also aligns with KIND Founder Daniel Lubetzky’s personal values. Through all of his work Daniel aims to build bridges between people. Empatico is building bridges through virtual interactions, on a global scale, between the leaders of tomorrow. I understand that your CTO James Turnbull is the former CTO of Kickstarter – how does the technical vision and execution of your company look month to month? We certainly are privileged to have an all-star team of technologists. Our primary vision and execution is focused on meeting the needs of teachers in our community. We want our user experience to be simple, seamless, and enjoyable. We’re also looking for ways to improve it – feedback always welcomed! We believe teachers and students deserve seamless, well designed technology, and we are on a mission to build that. How do you envision your service changing or improving over the next 6 months? Much of this depends on the feedback we receive from our earliest users. A few potential areas of expansion include providing content for different age groups (beyond 8-10 year olds), offering translation to languages beyond English, and providing asynchronous opportunities for classrooms to connect. Any new product features we offer will be grounded in what we hear from educators about how to make Empatico the best tool for their classrooms. What is the biggest challenge facing your organisation? How are you tackling it? One of the greatest challenges we face is how to bring virtual exchanges to as many classrooms as possible around the world, even if they have limited access to technology, as you alluded to below. Empatico was designed as a classroom-to-classroom experience rather than a student-to-student experience as a way to partially solve for this challenge, so classrooms only require one device rather than many. We’ve also made it a priority to open access and target outreach to countries all over the world, rather than restrict access or do a progressive rollout to specific regions over time. We also face the challenge of this kind of virtual connection being a regular part of school–on the whole, few teachers regularly teach this way. There are many teachers who have been pioneers in global connection and education, and we hope Empatico can help encourage many many more teachers to use technology in this way. We believe the right tool can help move global education and connection from the pioneer teachers to the masses. All students deserve the opportunity to see the world. What has been the most positive thing you’ve seen as a result of teachers using your service? Teachers are already sharing with us the positive impact Empatico has had on their students. They’re learning what other communities look like, how their peers from different cities and countries play and contribute to their communities, and they’re starting to understand their shared humanity. We’re in our early days, though, and we know the opportunity to bring this experience to many more students is still ahead of us. Often with online services they’ll end up being used in ways that differ from how they were originally designed to be used. Have you seen teachers or students using the service in ways that took you by surprise? Our main priority is to connect teachers and students from all different communities and backgrounds, and we hope the lesson content we offer will spark positive and meaningful conversations. Where classrooms take it from there is up to them! Even within our first few connections we’ve seen creativity in the conversations and activities classrooms have engaged in together, and we hope to continue to play a role in making that initial spark of a connection possible. Ultimately, our goal is to create a flexible platform for classrooms to connect. Empatico is strong on those initial “spark activities”. What do you see as the importance of these, and how do you see global classroom connections progress over time from there? Empatico activities are designed to promote greater understanding of similarities and differences and help students build character skills like curiosity and kindness. Currently Empatico offers four activities on universal topics – like play, weather, geography, and students’ contributions to their communities – to expand kids’ world view beyond their classroom and community. We are also developing longer-term “Fire” activities that will allow for more sustained, deeper connections between classrooms over time. Empathy is a key part of what you’re hoping to build clearly. How do you think about this when it comes to schools from first world countries wanting to connect with schools from third world countries? Technology and connectivity could be hard to come by, or unreliable for instance – but it strikes me that these could be some of the most powerful connections to be made. Empatico is all about connecting students so they can learn about their shared and unique experiences. We want students to understand their experiences have value – no matter where they are from – and the same is true of their peers around the world. We know technology can present challenges, but we’ve built our tool so that connections can take place with as little technology as possible. For example, we’ve built in a “tech test” so that teachers can test their connection, camera, and audio before the live connection with another classroom. Of course, there’s never a guarantee that technology will work perfectly, but we hope to make it significantly easier. Again, ultimately we aspire to make global exchanges a normal part of kids’ educational journey; hoping that someday it will be a widely-adopted way for kids to connect with one another and explore their similarities and differences. The technology has to be easy, seamless, and reliable to achieve that vision. Building on this, do you see the connections and friendships created leading to the sending of supplies or resources to a school in need? How could Empatico play a part in this? Please see response above about the service being used in ways that differ from the original design. We are exploring ways that Empatico could be a part of this, but don’t have any decisions or commitments yet. We do see lots of potential ways we might, though. Thank you for your time with us today – do you have any last comments for our teaching community that you’d like to share? Sign up! 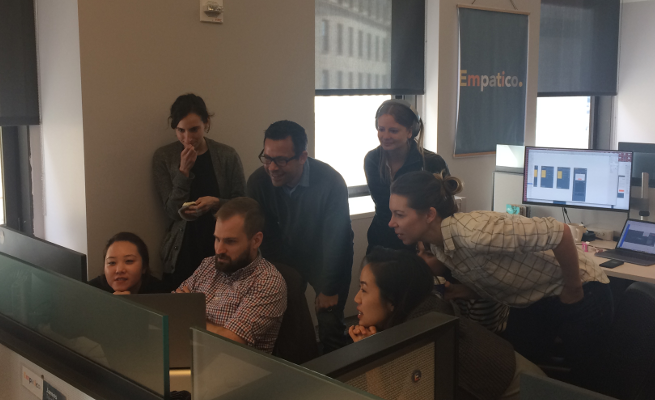 Empatico recently launched in English for classrooms with students ages 8-10, and we’re looking for passionate educators to try it now. To get started, teachers can sign up on empatico.org. They’ll need an internet connection and a computer with a camera. Matches happen automatically between classrooms at least 100 miles apart. They are based on the availability and activity preferences teachers share when they sign up. Please check out this 90 second video to learn more about how Empatico works as well as the research behind the activities. You can also visit us on Facebook and Twitter to get the latest. I hope you enjoyed the above interview as much as I did – thanks again to Christina who took time out of her busy schedule to help us understand more about this great new service. As people who have traveled to far flung countries will almost all tell you, the people and cultures met along the way, the everyday things with a strange new twist, and exposure to new ideas and ways of living will leave you a different person. I know my own travels have been tremendously positive, and it is the broadening of understanding about the world and its people which is one of the most enriching aspects of this. While travelling the world with a class of children is not usually possible, through free technology I’ve helped broaden the world view of my students every week – and have formed wonderful relationships with fellow teachers around the World, from here in New Zealand to America, France and Africa. I urge you to try Empatico in your own class – it’s free, your students will love it, and your two connected classes can help each other begin to understand what it means to be a part of this World we all share.